Want to get paid to teach English online? 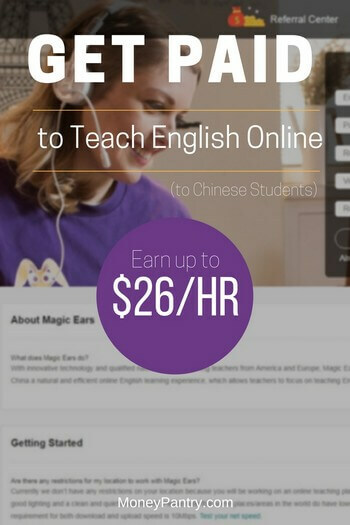 Come Work at Magic Ears and get paid $18-26 an hour teaching Chinese children English online! This company is a little over a year old and even comes with opportunities beyond the virtual classroom. Magic Ears offers their teachers the opportunity to work secondary positions to earn more income such as working in social media, interviewing, mentoring, and proofreading. Are you interested in teaching English online? Magic Ears is the company for you. Today’s post will be a full review of the company Magic Ears. We will be going over the job requirements, pay, and other opportunities that set Magic Ears apart from other companies. Magic Ears is an online ESL company based in Beijing. Magic Ears offers 25 minute lessons that can have up to four kids in each class. All classes are held on the company’s unique and fully integrative platform. Unlike other online ESL companies, you do not have to have a bachelor’s degree to apply. An ESL certificate can be substituted. To become a hired teacher, there are a few steps you must complete. The hiring process can take up to two weeks. Create a login account for a teacher portal to apply for Magic Ears. Make sure to upload your resume, and any ESL certifications you may have. Double check your application to make sure there are no mistakes before submitting. You will hear back within 2 business days whether or not your application is accepted via email and your teacher portal. 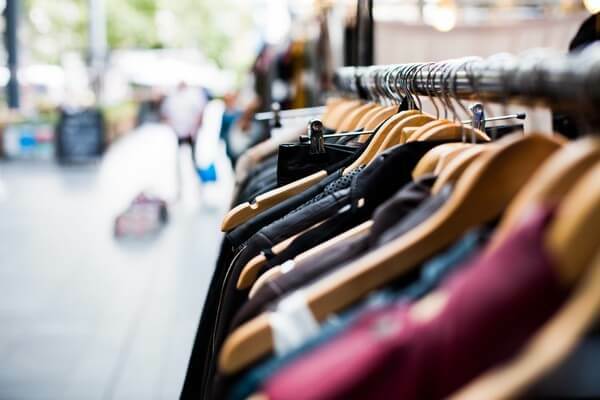 You have two options for this step, record a demo or schedule a live interview. Both will be scheduled at your convenience on your teacher portal. If you choose to do the demo, you will record on your own time and an interviewer will evaluate the video. If you choose to do the live interview, you will complete the demo with the interviewer present and evaluating you on the spot. Both options will be hosted on the company platform. The demo should take no longer than 10 minutes. You will be able to preview the 10 slide demo lesson material in advance. Make sure you have at least 2 props relevant to the class material. Remember to check your equipment beforehand, smile, be energetic, and use props and TPR. You will hear back in 2 business days whether you will be moving onto the next step. If you are not accepted, you may reapply in 3 months. You will attend two paid trainings that will be scheduled at your convenience on the Magic Ears Teacher Portal. The first training you will attend is the 1v4 training. You will attend the training on the Magic Ears platform with three other teachers and the trainer. During this training, you will learn the company policies and expectations for each class taught at Magic Ears. This training will take approximately 30 minutes to complete. The second training you will attend is the 1v1 training. This one of one training will take place on the Magic Ears platform. During this training, you will specifically go over the class material you will teach during your trial class. This training will take approximately 30-45 minutes to complete. You will be able to preview this material 24 hours before the training and should be familiar with the material before hand. After training, you will teach a paid training class. In this class, you will teach a full 25 minute class with up to 4 children in the classroom. The class material will be available for you to preview 24 hours before the class, and will be the same lesson that you reviewed with the trainer in your 1v1 training. You will be evaluated on your class performance by Magic Ears supervisors. It may take up to two business days to receive feedback. If you made a few mistakes on your trial class but the team sees your potential, you may be asked to complete a second trial class. This is up to the discretion of the supervisors. If you performed well on your trial class, you will move onto signing the contract and submitting to a background check. To work at Magic Ears, you must submit to a background check and sign a 6 month contract. Once your background check is cleared and your contract is signed, you may start open availability for classes immediately! To get the most optimal amount of classes booked, you should be opening at least 5 hours of classes per week and scheduling at least 2 weeks in advance. Lessons are 25 minutes long and can have up to 4 kids in a classroom. You are booked based on the class slots that you open for availability on the Magic Ears Teacher Portal. All bookings are confirmed 24 hours in advance. 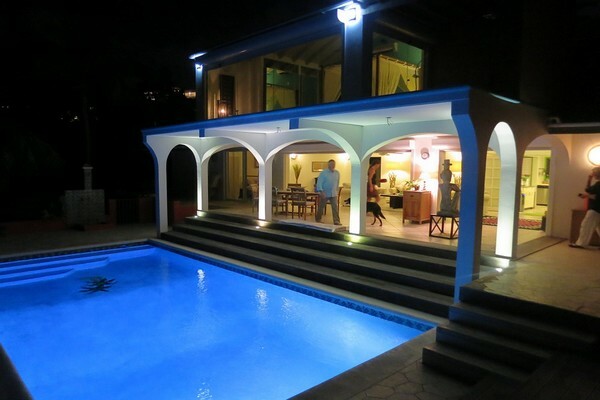 You should open at least 10 slots per week and schedule 2 weeks in advance for optimal bookings. Bookings are scheduled by an automated system based on your teacher rank, which is dependant on parent and supervisor feedback. Parents do not choose the teacher. This allows for more consistent bookings, as you not be limited to a few students’ schedules. You will teach any students that schedules a class for the time you were booked. If you receive bad feedback from a parent, a supervisor will always watch the class to confirm if the complaints were warranted before letting the feedback count against you. All lessons are confirmed 24 hours in advance and available for preview. Make sure to preview your classes so that you can plan to have at least 2 props relevant to the class. Built in “help” function to report any technical issues to the team. They will take care of any issues right away so you can focus on teaching! Built in reward button to award students trophies individually and as a group! A unique 1v4 option that allows you to blow up the teacher and kids’ screens to help with pronunciation and interaction. Ability to authorize and deauthorize students to draw on the screen. 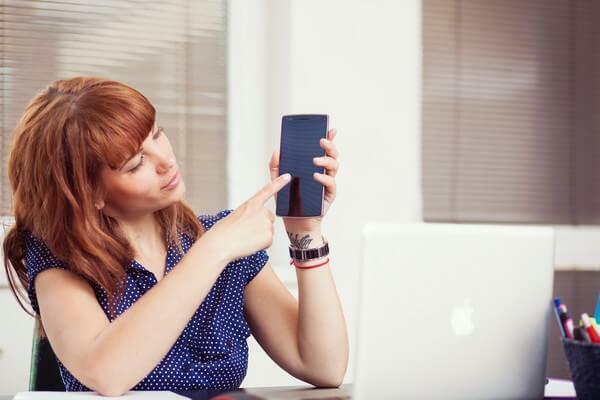 Ability to mute and turn students’ screens off if need be. Magic Ears offers pay 30% higher than other leading ESL companies. You will work as an independent contractor and are responsible for reporting your own taxes. At Magic Ears, you can earn $18-26 an hour. The base pay for each class is $9. You are eligible for 2 easy bonuses. $1 bonus per class when you arrive to your first class of the day 10-8 minutes early, and $1 bonus per class when you open 60+ slots of availability per month. Most teachers make $22 an hour starting pay with these bonuses. If you have a bachelor’s or master’s degree in education, an ESL certificate, and 5+ years teaching experience, you can make a starting pay of $10 per class plus bonuses. You can earn a quarterly bonus of $50 when you open 60+ slots for availability for 3 consecutive months. You are eligible for a raise every six months, and can earn up to $26 an hour with raises. You will be able to view your payslip on your teacher portal at the beginning of each month. You will have until the 8th to report any errors and sign your payslip. All payment will be processed on the 10th of each month. We think we will be keeping our eye on this company! If you are looking to make money working from home, Magic Ears could be a great option for you! If you feel like you would be a great Magic Ears teacher, consider submitting an application today! This is a phenomenal company!! I feel so valued and respected at Magic Ears. They truly care about their teachers. The fact that they don’t penalize you for being sick or having any other kind of emergencies speaks volumes about the company. Most in the ESL world know this is unheard of! Thanks for your feedback, Carley, and thanks for reading!